Planning a trip, but need help? No problem! The NMSU Outdoor Center has variety of planning resources including maps, guides, and books to help you plan your trip appropriately. Come lounge on our couches and get the information you need to explore new places. Have equipment needs? We offer a variety of essential outdoor products, for activities ranging from backpacking to climbing. 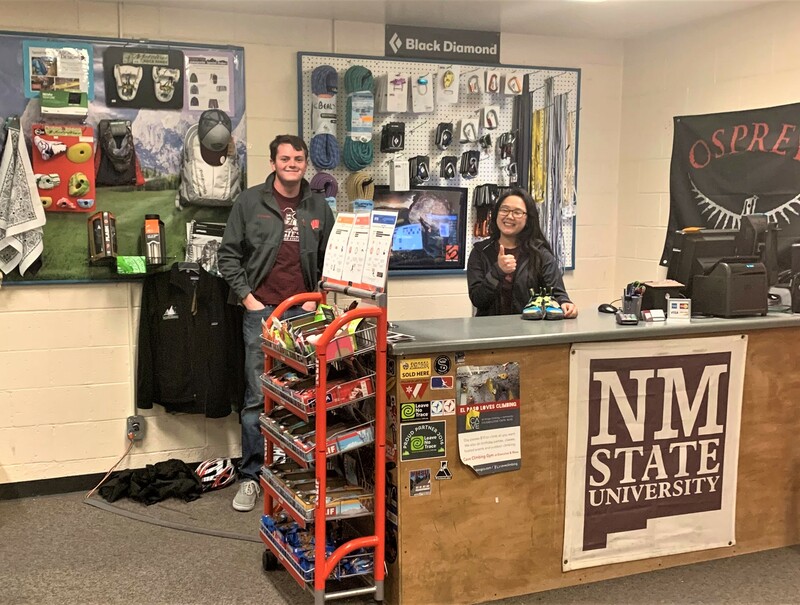 The NMSU Outdoor Center also has basic equipment to rent, and performs bicycle repairs. The Outdoor Center provides full service rental and retail service to outfit you for your activities, adventures, and expeditions. We provide a great selection of climbing equipment, hiking/camping equipment, and other accessories. NMSU Students receive 10% off products. Take advantage of an affordable alternative to purchasing equipment by utilizing our rentals. We offer a variety of products including tents, mountain bikes, canoes, backpacks, climbing shoes and much more. Come by and see us today. Click here to print our list of rentals. Note: AggieFit Members receive a 10% discount.